Organizers of Woolf and the City, the 19th Annual International Conference on Virginia Woolf, have put together some exciting events for the June 4-7 event, which will be held at Fordham University in New York City. Registration will be available in a few weeks. The fee will be $150 for fully employed participants with a concession rate of $100. The banquet will be an additional $50. Rebecca Solnit is a progressive journalist and essayist who is the author of numerous books, including Hope in the Dark (2004), Wanderlust: A History of Walking (2001), and As Eve Said to the Serpent: On Landscape, Gender, and Art (2001), which was nominated for the National Book Critics Circle Award in Criticism. She is a recipient of the Lannan Literary Award and a grant from the Guggenheim Foundation. Tamar Katz, Brown University, author of Impressionist Subjects; Gender, Interiority, and Modernist Fiction in England, published by Univeristy of Illinois Press in 2000. She is a member of the Urban Studies Program Committee at Brown, as well as the associate editor of the Modernist Journals Project. She is now at work on a book about modernism’s use of the city and contemporary urban nostalgia. Anna Snaith, Kings College London, author of several books including Virginia Woolf: Public and Private Negotiations,published in 2000. 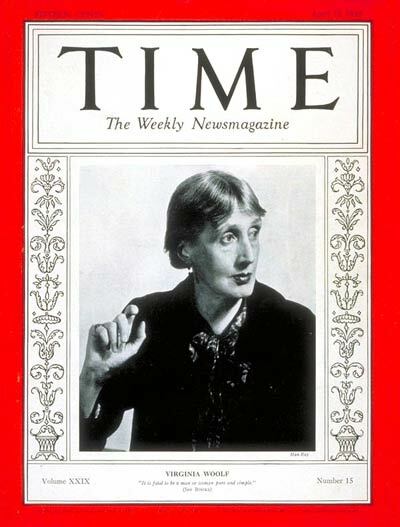 She is currently editing The Years for the Cambridge University Press Edition of Virginia Woolf and working on a monograph titled Colonial London: Nation, Gender and Modernity 1890-1945, which will be published by Cambridge University Press. Jessica Berman, of the University of Maryland in Baltimore County, is the author of the 2000 book Modernist Fiction, Cosmopolitanism and the Politics of Community. She is currently at work on a book tentatively titled From Ought to Is: Modernism, Ethics, Politics, which will be published by Columbia University Press. Before the banquet, Katherine Lanpher, host of Barnes and Noble’s acclaimed Upstairs at the Square at the Union Square B&N, will moderate a conversation with Susan Sellers, author of the new novel Vanessa and Virginia, and Dr. Ruth Gruber, feminist and activist and the author of Virginia Woolf: The Will to Create as a Woman. The conference book exhibit will be run by Bluestockings, the Lower East Side feminist collective bookstore. This year’s silent auction will benefit Girls Write Now, a local nonprofit that pairs NYC high school girls with women writers as mentors. Some of the girls and their mentors will be reading at a concurrent session.